I wanted more blueberry bushes. Right now I only have about fifteen or so, and frankly I'd be in the market for a hundred (we love blueberries). But they're so expensive! Young blueberry bushes cost somewhere on the order of $10 each, well outside our budget in any appreciable quantity. So... I decided to propagate my own. First thing I did was watch a YouTube video on propagating. Seemed simple enough, except there was no way I was going to spend money on perlite and peat moss. I decided to make my own potting soil. I started with some topsoil. We don't have too much left over from the truckload we bought last year, but there was plenty for this project. What else to add? Composted manure, of course. Got plenty of that. Somewhere I had a box of azalea fertilizer (which is acidic; blueberries like acid soil) but you think I could find it? NoooOOOooo. So I decided to add some composted sawdust, which is acidic. 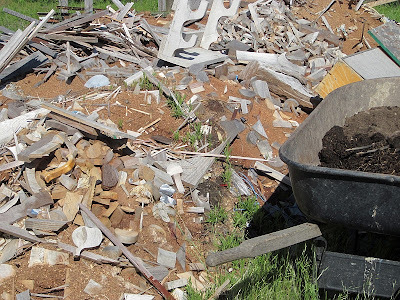 I trundled the wheelbarrow over to the oversized discard pile outside the shop, which has (ahem) plenty of sawdust mixed in. 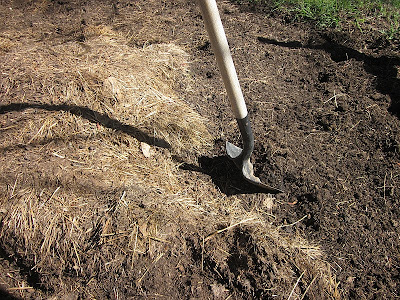 I pitchforked a generous amount into the soil. Then just for the heck of it, I added a sprinkling of granular fertilizer. ...and then I was ready to fill some gallon-sized pots (I keep a stock of these in the greenhouse for just such an occasion). 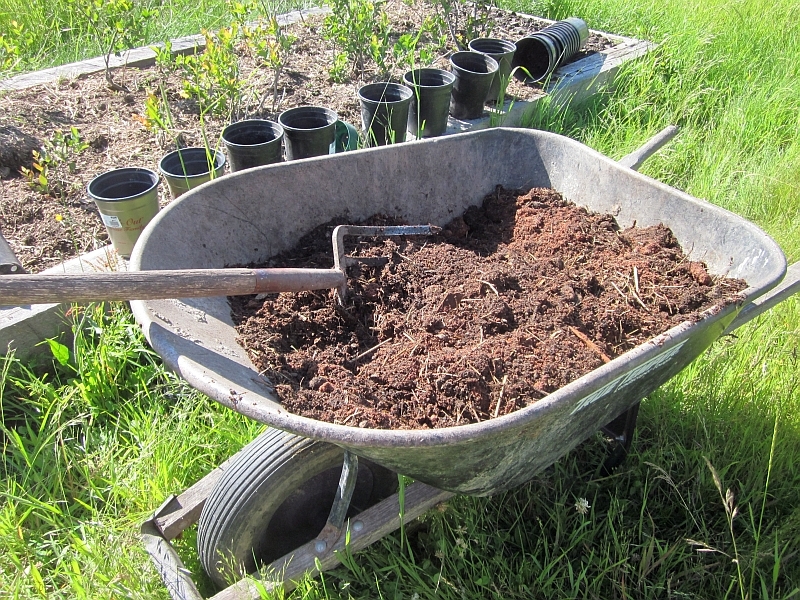 I filled as many pots as I had soil for, which turned out to be twenty-two. Now it was time to start propagating. A few weeks ago in anticipation of this project, I purchased the most critical item: a small container of rooting hormone. It only cost about $5 and (apparently) is essential to the successful propagation of blueberries. In nature these bushes propagate vegetatively (underground), but in nurseries they're progagated with the help of rooting hormone. Next I snipped about four inches from the tip (apex) of a plant. I nipped (not tore, but nipped) the lowest leaf from the base, then dipped the cutting in water. Then I dipped it in the rooting hormone, which is powdery (apparently there are also liquid versions available). ...then carefully inserted the cutting into the soil. I repeated this process for all 22 pots. 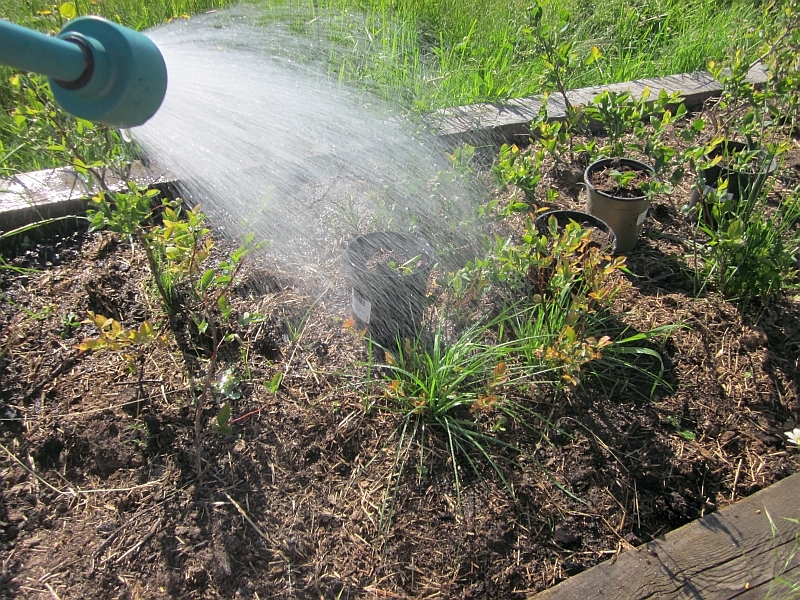 I scattered the pots among the rest of the blueberries and gave everything a gentle watering. And that's it! 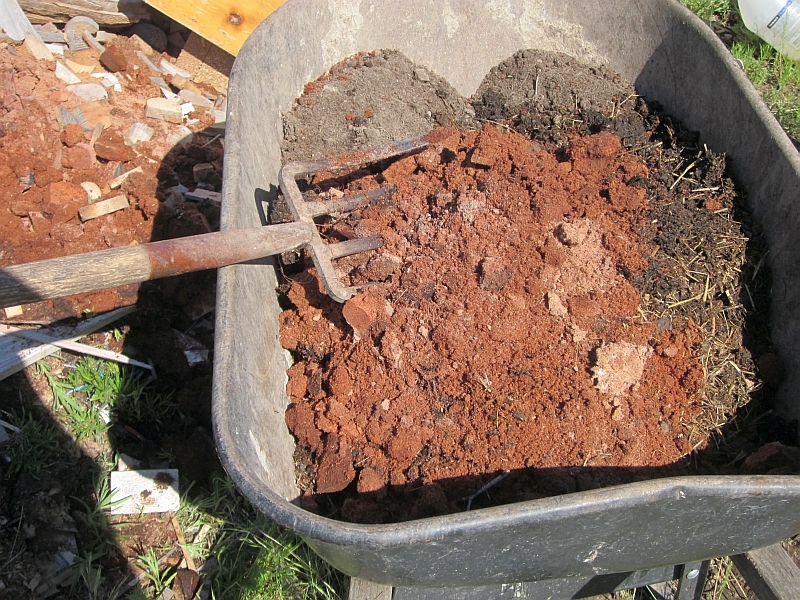 The whole project from start to finish took less than an hour, and most of that was taken up in making the potting soil. Will this work? No idea. The YouTube video did warn that not all cuttings will propagate successfully. But what the heck, it's an experiment, and it was virtually free. And if all the cuttings grow, I potentially saved myself $220. Can't beat that! Please post updates on your propagating blueberries. I hope they produce little blueberry bushes. Patrice, I hope all your blueberry plants make it! Please be very careful when using powdered rooting hormone. I read about a medical person who accidentally inhaled some of the powder while working with it and was hospitalized from the effects (if I recall correctly, severe vomiting and diarrhea). Having extensive experience with rooting inedible shrubs, I would think one of the most challenging aspects of the technique you're attempting with blueberries would be the need to keep the recommended medium damp throughout the day, but not soaking wet. One way to avoid the problems created by the hot sun and drying winds is to stick all the cuttings in a tray, wet the medium, cover with an upside down aquarium tank (which will keep in the moisture), and keep this in an area that will be in indirect sunlight, NEVER in direct sunlight. The sun's direct rays through the glass would bake your little cuttings. When you see moisture inside the glass walls of the tank everything is going well. When you don't see any moisture, lift the tank off, add water, and replace the tank. Within several weeks you should have healthy rooted cuttings. 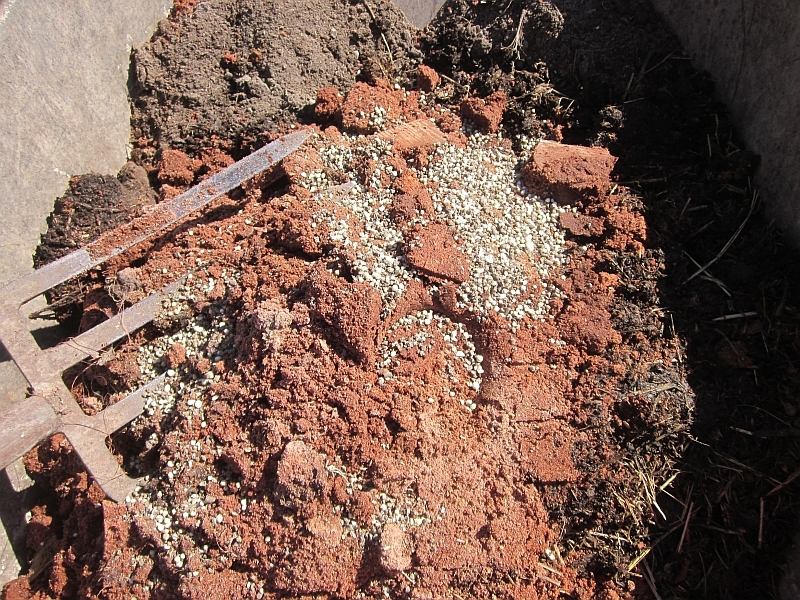 Using one flat container will reduce the cost of using the recommended peat and perlite. 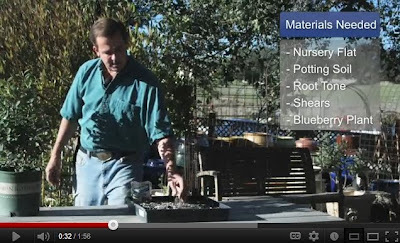 This technique was taught by Mike McGroarty, whose website has a wealth of horticultural information. Isn't there blueberries in forest there in Northern America? Here in Finland we just go to the nearest woods and basically pick as much as we want. Anyway, I'm not sure if I've commented here before, but I've been reading your blog already a while. It's very interesting and informative and you really have many challenging projects going on. So good luck for you there! One thing more, have you progressed with the pond? I'm very interested in how you will proceed with it as I've been thinking something similar for us here. Artificial ponds are just very uncommon here. Most of the wild blueberries grow in northeastern states like Maine, which is thousands of miles away from us. Here in north Idaho we have wild huckleberries, which are related to blueberries, but they grow at elevations higher than where we live and are quite far away. I would like the blueberry bushes to be conveniently in my garden. We haven't done much more with the pond yet. 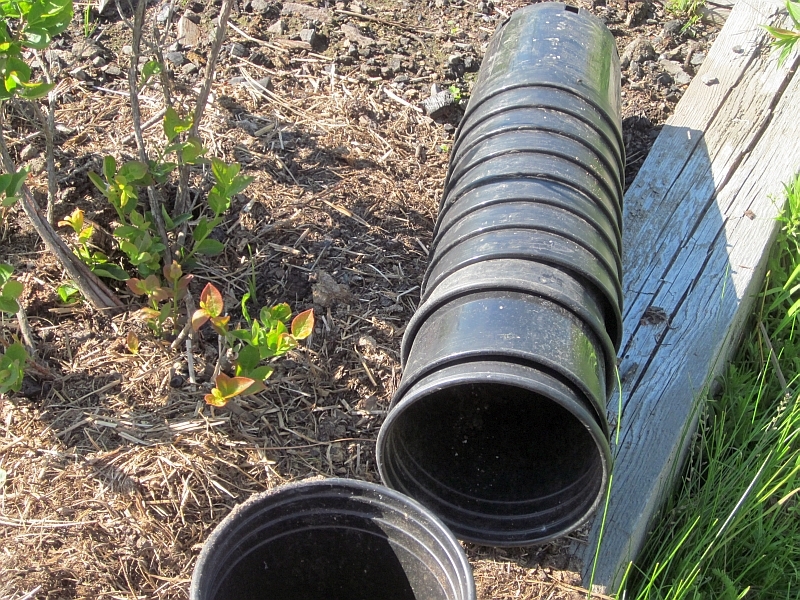 We bought a large plastic pipe which we'll use as an outlet, but we haven't installed it yet. The next step on the pond will be to remove the dirt piles. A neighbor wants the dirt, but so far the ground has been too wet to bring in his heavy equipment. How exciting to have a reader from Finland! 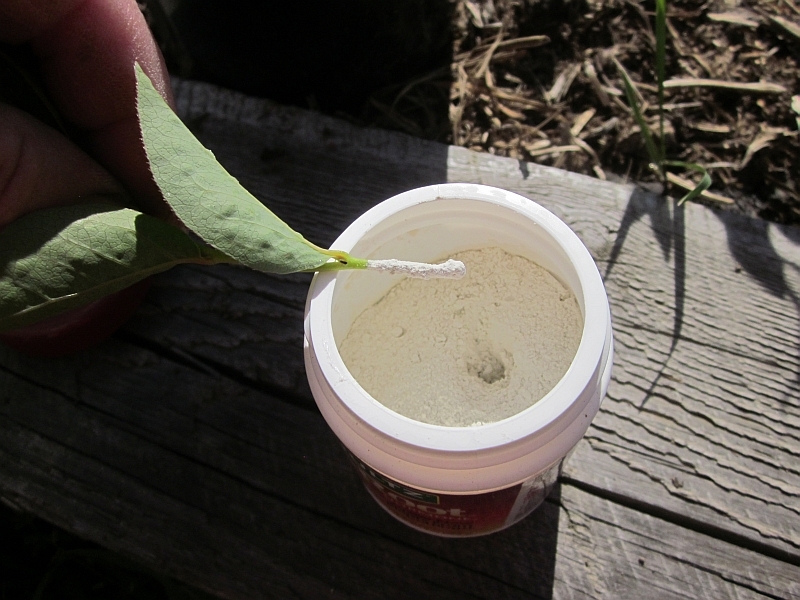 Patrice willow trees make their own rooting hormone. If you cut willow branches and set them in a bucket of water they will excrete the rooting hormone. You can use it to water plants you are trying to root. Cool! I didn't know that! We have willow trees in our yard and they need to be trimmed back, so I'll stick some of the trimmings in a bucket of water and use the resulting. Thanks for letting me know. I've read that cinnamon will act as a rooting hormone as well. Honey and panadol also do it. Have ever gone up to Riley Creek Blueberry Farm in Laclede? The have 5 acres of you pick blueberries. I know it is quite a drive for you, but it would be a fun day. We picked 25 pounds last year. YUM. We have 10, fairly young plants and I cannot wait until they come into full production. We bought 4, 2 year old Dukes this year at Fred Meyers for $7 each! They already have berries on them along with the Patriot, Blue Crop and Northlands. Good luck with the propagation. Can't wait to see how this goes! I know people that have great blueberry bushes. I'm like you, I'm not going to pay that much for as many as I want. You might want to mention that propagating patented varieties of blueberries is technically illegal. I did a quick check and none of the three varieties we grow on our homestead (Earliblue, Blueray, Bluecrop) are patented. So now I know how to increase their numbers without shelling out a lot of $. Thanks for sharing! 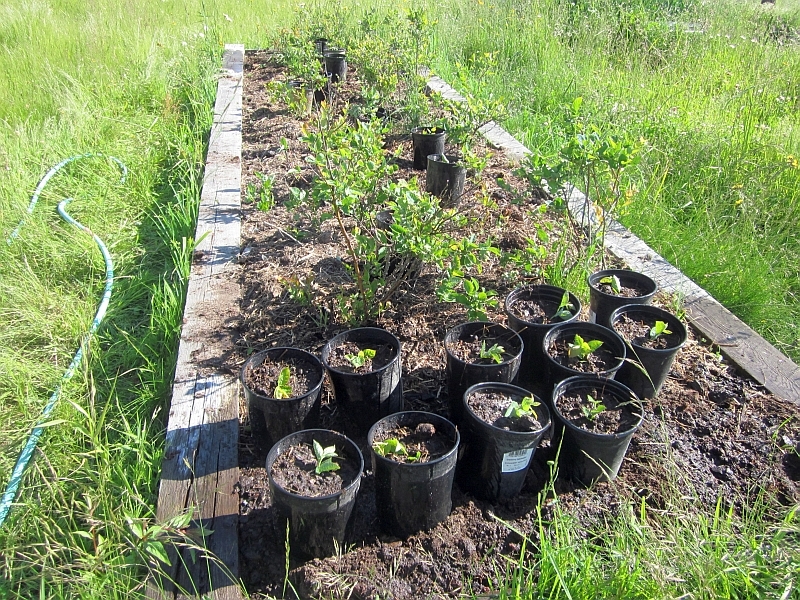 If you bought the blueberries, you have the right to propagate them for your own use. You can also sell the harvested fruit. That's not my interpretation of the law. Sure, you can sell the fruit, but preventing propagation is the big reason why those plants are patented. "A patent legally prevents others from reproducing the protected plant variety by cuttings, tissue culture or any other method of asexual propagation without the written authorization or licensing of the patent holder. Possession of improperly propagated plants of patented varieties constitutes infringement, even if an illegal propagation was inadvertent." In my particular case, the legalities of propagating my blueberries is probably a moot point. I didn't purchase my original plants from a nursery; I purchased them from a local woman who ran a you-pick place, and she propagated and sold young plants as well. I don't have any idea why types of blueberries I have, and of course now I'll never know since the woman passed away a couple years ago and all her original bushes were torn up when her farm was put on the market. 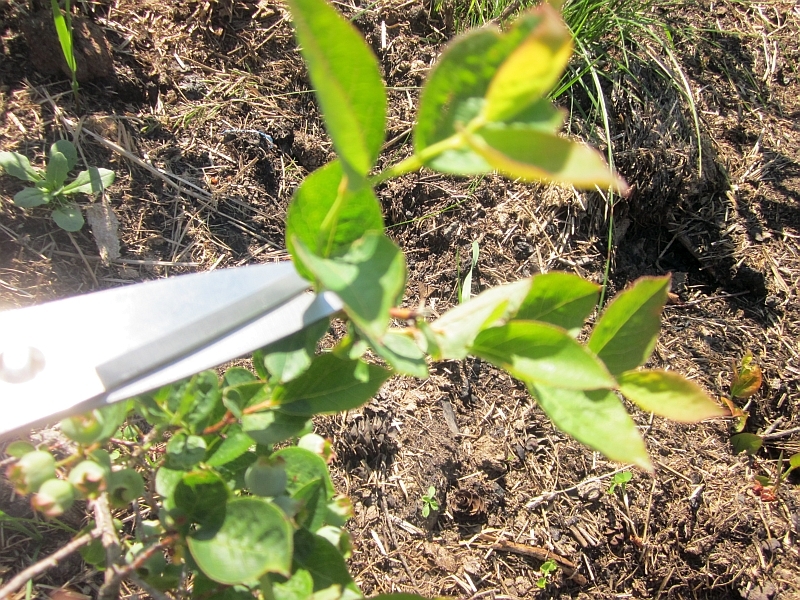 here is another propagating tip you might like to try...just take a lower, close to the root branch of your blueberry bush, bend it over and where there is a "bud", pin it to the ground with a large bobbye pin, or a rock, brick or whatever (to keep it down)...cover with soil and a little mulch...you want to do this in the spring when the bush is in bloom...just like getting a forsythia to spread! I used to work in a commercial Blueberry nursery so did this all the time in Winter. In winter there are no leaves and the energy is focused towards the roots so this is when we take and propagate the cuttings. We only took from established plants that had a good bit of straight growth (hard to get those when you're starting out though). That long section of stem should have a few 'growth nodes' on them, regular bumps along the stem that the new growth is going to spring from in Spring. You want to cut it up with a node at either end, a straight cut across at the top to minimise loss of evaporation and a long diagonal at the bottom to encourage water absorption and soil contact ending just beneath the growth node. When making the cuts, try to have your secateurs really sharp and dip them in some sterilizer (like a jar of metho) after each new plant so you help avoid spreading disease. Have a tray of that expensive growing medium (line it with newspaper to help keep it moist and reduce loss of soil through the gaps) and put in rows of your cuttings (dipped in rooting hormone) about an inch and a half apart. You can push them in until they are about a fingers width from the bottom. If you're not sure of depth, push them until they touch the bottom then pull up a little. As a side note, we mixed sand in with the expensive stuff. Sand keeps the soil light and it's easier for new rootlets to weave through. Make sure your growing medium is not too heavy. Put in a green house or under some cover - not in direct sun - and water twice a day to keep it moist. Give it about 4 weeks then go along and gently tug at each cutting to see if roots have developed. The ones that are dead, all dry and cracked and come out with the gentlest tug, you can discard. Some of them will obviously not have any roots yet but will still not look 'dead', leave them there for a few more weeks as there is still hope. As well if you pull out a dead one and there are some small roots forming put it back in as it might put up a new shoot. If you're lucky some of them will have roots developing. 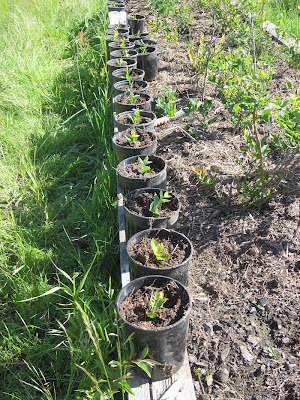 Wait until there is a decent amount of root growth before transplanting into individual pots. If they are tangled together too much (where you really have to pull them apart - hooray by the way!) you can get a group and do it in some water, it helps remove the soil for gentler untangling. I'm not sure how yours will go as they are, you may want to snip off all but 2 of the leaves at the top as the cutting will struggle to keep all the leaves alive and not put any energy into root growth (as I have been made to understand it). 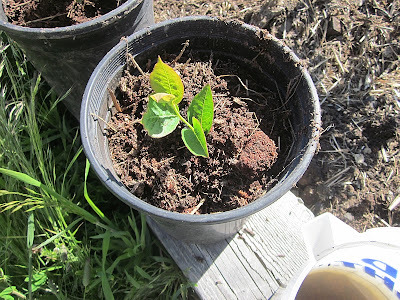 They will also evaporate water from those leaves and not take in enough water from the soil as there are no roots yet. Maybe put a few aside to try in different ways, I'm all for experimenting as just because someone says 'this is the way it's done' it doesn't mean it's the only way. Blueberries grow in Texas too! I'm going to give this a try. Thanks! Did the cuttings survive? If so, would love to see pictures! Raw honey is also a natural rooting hormone. Sorry for the late input. I just found this site through pinterest. I also heard on Pinterest that cinnamon is a great rooting medium, and it fightd diseases as well. Worth a try! Good luck, this is a great blog! I would SO like an update on your blueberry cuttings! Did they survive? Has anyone tried Amanda's method? Sadly all the cuttings died. I'm not going to give up, though. I plan to try again this year. They grow a lot of blueberries in SW Michigan. This grower has the best price around. Notice that the Southern grower was able to put the cold frame outside. I am growing both kinds where I am. 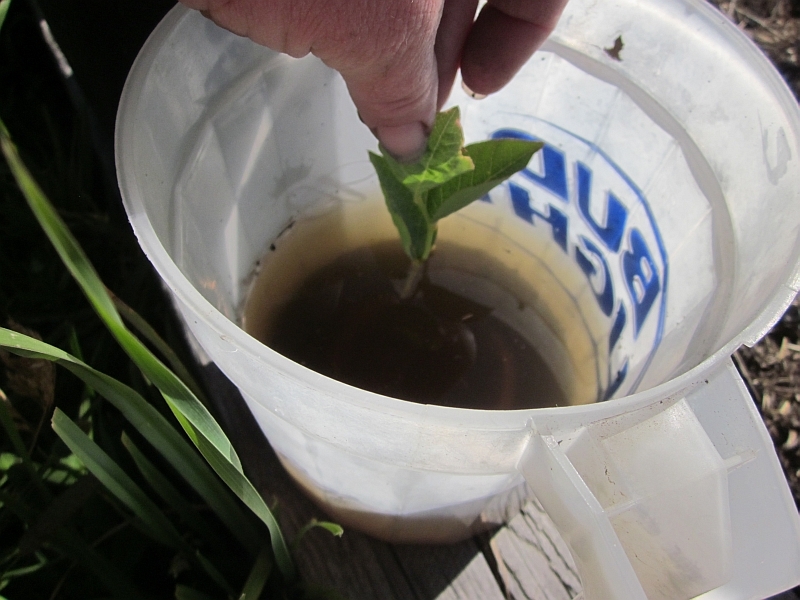 One thing that may help would be to acidify your soil to help your cuttings take root. I'm in central Indiana. 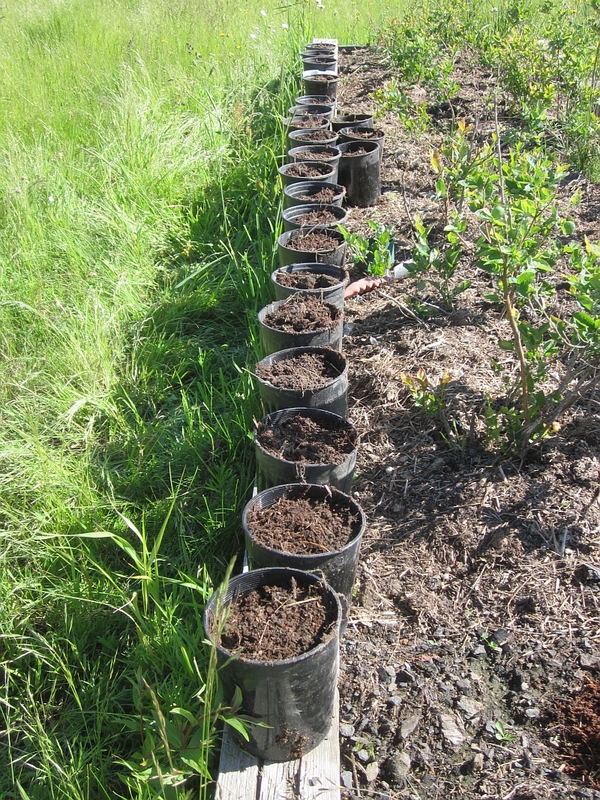 Blueberries will grow in other parts of the state, but not here because our soil isn't acidic enough. I moved my plants to pots and now add things like washed out coffee grounds to the soil, which is a special mixture for blueberries. Layering is far easier with additioanl benefit of giving a crop this year depending on how you go about layering. For cuttings try using just peat moss or maybe sand that is kept moist. Peat prevents bacterial growth and rotting. 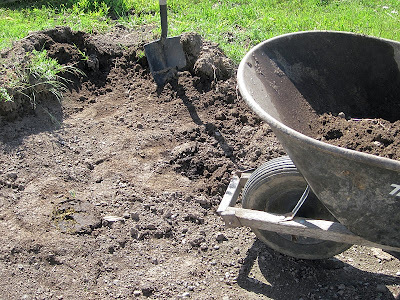 Avoid using fertilizers and manure when rooting cuttings. 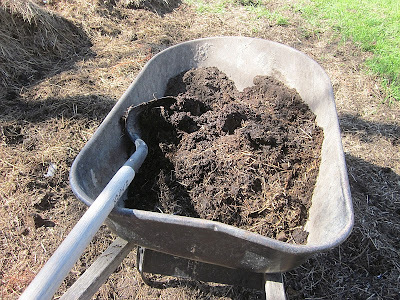 The manure can cause rot or bacterial infections in the fresh cuttings. Cinnamon is also used as a root hormone. Australia in a cool climate and have grown blueberries in a pot and love them so much I want more. I hope to propagate some soon and you all have given me some great ideas. If you are a fan of blueberries you are going to love the new variety "Blueberry Burst" which is now available from Bunnings. It will set you back $20 but the fruit is enormous and the plant is a semi-dwarf. Will blueberry burst grow from its cuttings ? 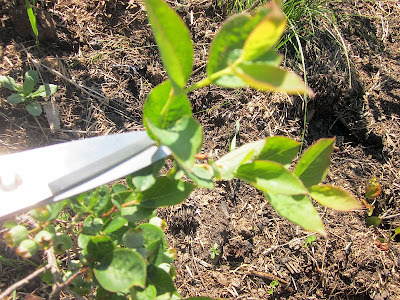 Does blueberry burst grow from cuttings ?In case the parent fails when transplanted. 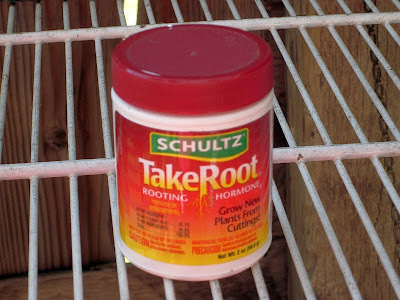 The one thing that will help in almost all cases when propagating a plant is to preserve the humidity around the plant when it is in the rooting process. When cut and placed in a pot of soil with the lack of roots, the plant will utilize the moisture with in the leaves and stem that remains. By using a water method that provides water beneath the plants and placing something over the top of the plant (a jar, clear plastic bag, small greenhouse like environment - with holes in it to allow for air exchange) will increase the odds of success. Thank you! None of my propagations were successful despite multiple attempts, so I'm pleased to know this. A neighbor tried something that he had heard and it is really working great. 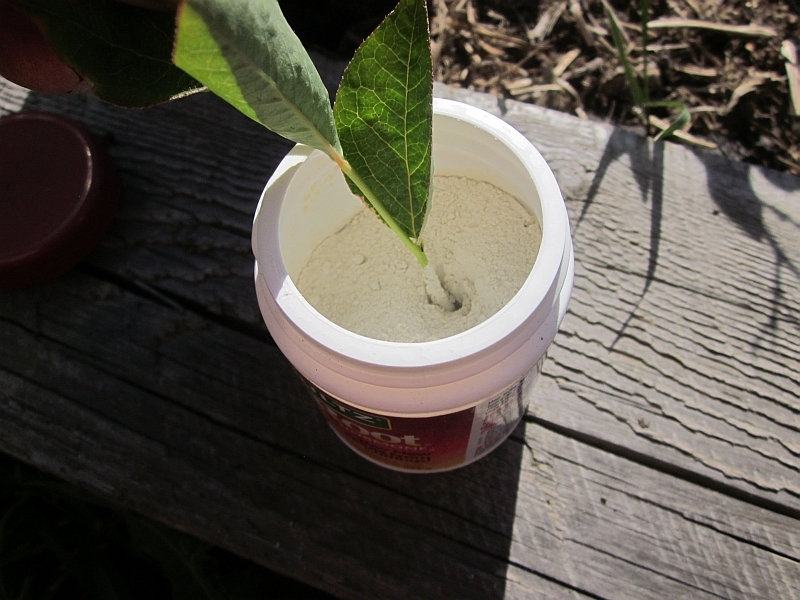 Whip some egg whites until frothy, dip plant leaves in the egg white before potting. It helps seal in the mosture. The plants that did not have egg white on them were just dry looking. The plants with egg white were bright green and growing and rooting much better and faster than the others. I am going to try this on these hydranga leaves that I am starting to root. I have 8 varieties of southern/rabbiteye blueberries that have sucker. You only need to remove the rooted sucker & transplant. I have planted 50 of these & they will fruit in two years. That not to say your way is not good, you should be proud of your goals being met. I was surprised to see you added manure to your mix-in my experience manure or any urea nitrogen will kill a robust blueberry plant within the year. Try to start your cuttings in peat and sand. I have over flow plants in pots in pure peat and they thrive. Just add some kelp and bone meal in the spring, water with molasses when the fruit sets for extra sweet fruit and strong canes and save your manure for the raspberries and roses.